Important Note: The above Royal Square At Novena Available Units Chart for Sale at Royal Square Novena are subject to change from time to time without prior notice. This webpage cannot be held responsible for any inaccuracies, omissions and/or dispute. Royal Square Novena Price by Hoi Hup and Sunway is accurate as at the point of listing. 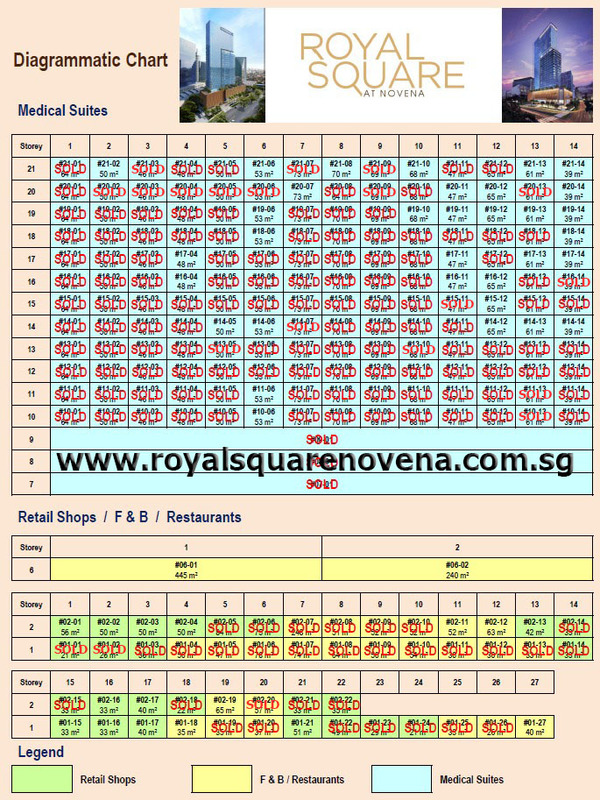 Royal Square Novena for Sale Price is indicative and on a while stock last basis. Do make a reservation of unit below to lock in your choice unit at Royal Square Novena Now. Why Should You Choose a Unit at Royal Square Novena? 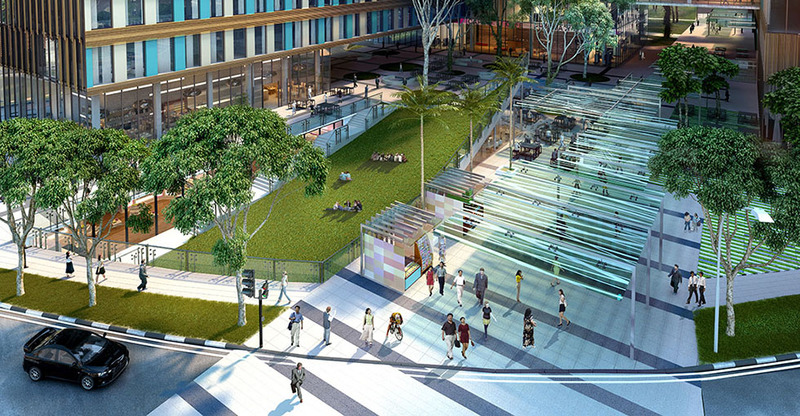 What are the Shops and Tenants at Royal Square Novena? What Should You Know about Royal Square Novena? Royal Square Novena is a 99 years leasehold project developed by reputable mainboard lister Hoi Hup Realty Pte Ltd with Sunway Developments Pte Ltd. Hoi Hup Realty is a reputable Main Contractor turned Property Development which developed many 100% sell out projects like the Sophia Hills @ Douby Ghaut, The Whitley Residences along Whitley Road, The Hundred Palms Residences EC @ Hougang and the latest sellout Rivercove Residences EC @ Sengkang. Sunway Developments is a Malaysia based property developer and wholly subsidiary of Sunway Group company. Furthermore, Sunway Group also owns Sunway Reit which is the largest REIT in Malaysian by asset size. What is the Building Mix in Royal Square Novena? The building comprises of 25 retail shops, 23 retail F&B outlets, 3 restaurants and 171 World Class Medical Suite units. The Royal Square Medical Suite component of the building is being named as the prestigious Royal Medical Center. There are also 250 hotel rooms which are operated by Marriot Courtyard, which operates more than 1,100 hotels in more than 47 countries. Poular Hotpot chain, Hai Di Lao, which operates more than 300 restaurants worldside, also occupy enitre level of level 6 in Royal Square Novena. More importantly, Royal Square Novena sits on a prime District 12 land of about 71,000 sqft and obtained its TOP status in year 2017. 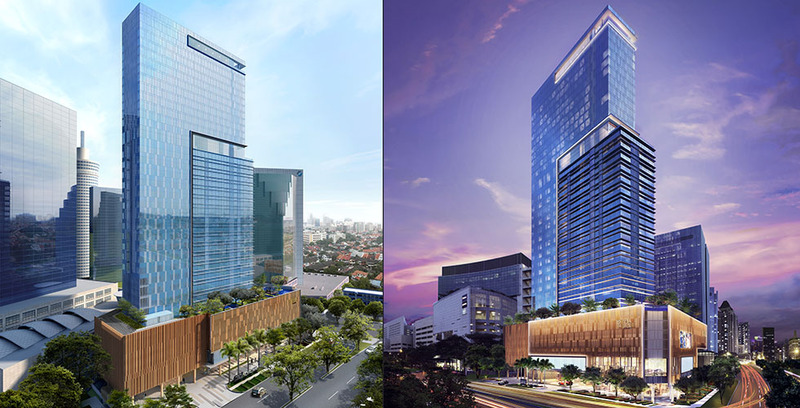 Royal Square Novena is also strategically located in the center of the growing Novena Medical Hub, part of the Health City Novena Master Plan. 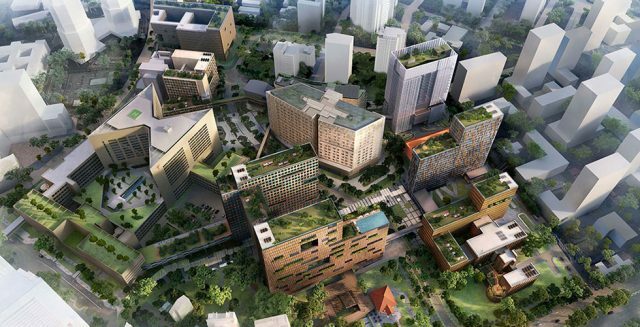 Most noteworthy, Health City Novena is an ambitious master plan to integrate the existing medical facilities with the upcoming medical buildings to create the biggest medical hub in Singapore. Finally under the master plan, health city novena will create a complete and holistic healthcare eco-system that includes research and education, health services, commercial, leisure, and public places. Due to the major masterplan transformation, Royal Square Novena will stand to benefit greatly from the big healthcare transformation from Health City Novena masterplan due to the locality and vision of the building being right beside Novena MRT station together with a 4-in-1 medical complex which comprises of retail shops, restaurants, world-class medical suites and hotel rooms. There is a saving in terms of 20% Stamp Duties imposed to foreigners or 15% of additional Stamp Duties to Singaporean and Permanent Residences, as a result make it almost a no-brainer for them to purchase commercial properties like Royal Square Novena which is totally unaffected by the cooling measures. Most noteworthy, on top of the savings of Additional Buyer Stamp Duties (ABSD) during the purchase, purchasing a unit at Royal Square Novena is also not affected by the Seller Stamp Duties (SSD) impose by IRAS. As a result, this gives the purchaser the flexibility to sell off the unit anytime they wish to without paying additional Stamp Duties as compared to the Residential properties. 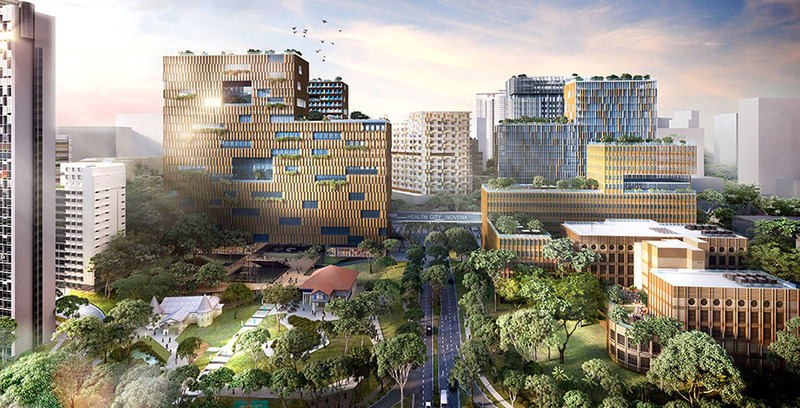 Why Buying Royal Square Novena is your Best Investment? The Commercial property sector is the latest talk of the town in contrast to Residential property Sector after the Singapore government imposed numerous cooling measures onto Singapore red hot Residential property. Furthermore, The shift of the focus from investors, especially Singapore which already owned multiple residential properties and the foreign inflow of cash by foreigners, hence bringing the commercial property sector to the next level. On top of the attractive real estate sector of commercial properties, Royal Square Medical suites are probably the best in the various class within the commercial real estate. Certainly, Medical cost is rising and people are generally gaining the conscious more about health. Above all, Medical aesthetic also gets popular nowadays with the young and successful associates splurging lots of money into aesthetic treatment on a regular basis. As a result, The medical suites at Royal Square Novena is poised to enjoy exponential gain from this trend. Finally, History has also proved that the medical sector is a highly recession-proof business. During a bad economic recession, we want to be holding on to a recession-proof real estate as it continues to generate revenue for the tenants and prevent them from getting out of business. As a result, this almost guarantees their business continuity and therefore a safe haven for investors which are collecting rental income from the commercial real estate properties. Royal Square Novena again is position to benefit from this trend.